Last Wednesday we celebrated the fall graduation ceremony for the district. It was for the students from Timpview, Provo and our school who worked hard over the summer to fulfill all requirements needed to graduate as the class of 2018! The state allows school districts to continue working with their students until October 1 to qualify for graduation. Those who meet the requirements by this date will count toward the previous school year’s graduation rates. 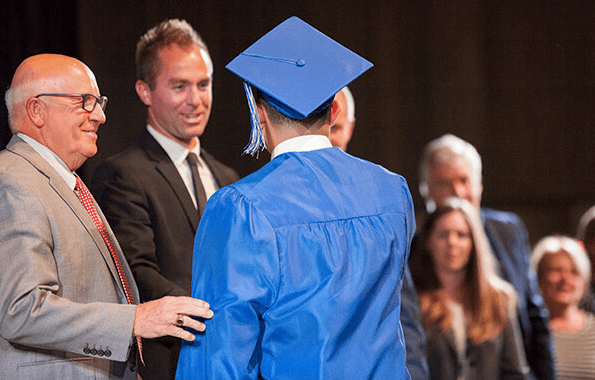 Graduation was held in the new Provo High Auditorium. We had 7 students graduate and we are so proud of them! The students who attended graduation were Anthony Tellez, Nathan Wight, Nayeli Paredes, Jacob Alfaro, and Gage Cassidy.